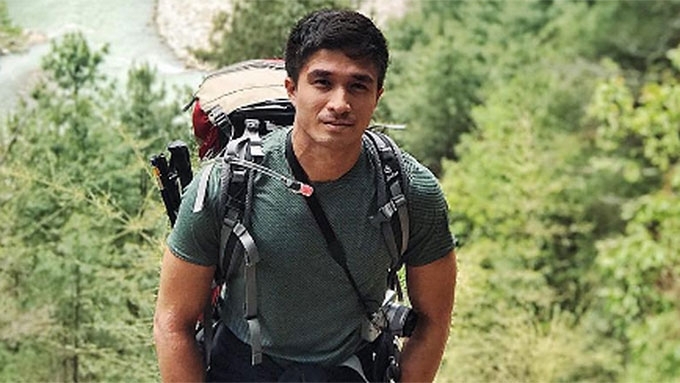 TV host-athlete Vince Velasco had to abort his Mount Everest climb after suffering from acute mountain sickness (AMS). He was airlifted off the mountain last May 21, Sunday, and was immediately rushed to the Ciwec hospital in Nepal. TV host-athlete Vince Velasco aborted his Mt. Everest climb after suffering from acute mountain sickness (AMS). He was airlifted off the mountain last May 21 and rushed to the Ciwec hospital in Nepal for immediate medical attention. The former Kapuso actor arrived in Nepal last May 13 with three other Filipino mountaineers, including Benj Ramos, Cara Durano, and Nella Lomotan. Vince and his teammates embarked on a 15-day trek to Mount Everest's base camp. However, the actor/boxing instructor experienced a "close call" midway through Mount Everest's base camp. The athlete narrated the unfortunate turn of events in his Instagram post last Thursday, May 25. Vince thanked their guide for making the right decision that eventually saved his life. "Four days later, I'm out of the hospital healthy and processing the experience. It was a really tough call one I couldn't make and so I have to thank my guide for making it for me. "Had he not I might have pushed harder. A part of me wishes I pushed harder regardless of the risk." Nevertheless, the former My Husband's Lover star rationalized that this might have been God's way of reminding him that there are more important things in store for him even though he wasn't able to complete his journey. He wrote, "First, just because you can doesn't mean you will. "You may have the ability to go for the things you want and try as hard as you can but it doesn't mean you will arrive there or achieve what you want at the time of your choosing. "Second, it really isn't about the destination, it is about the journey. Regardless of what happened it is still probably the most beautiful and memorable trip I have been on. And the destination is just the goal. "It's the encouraging each other, the bonds created through the long trek, and sharing the amazing scenery with great people that makes a trip so memorable." Towards the end of his Instagram post, Vince thanked everyone who helped him during his journey. His caption reads, "To my teammates @nellal @benjstagram92 @caradurano I couldn't have asked for a better team of friends to be with. I left my heart with you guys on the mountain and I couldn't be more proud. You guys are amazing! Wouldnt have made it that far without you. "To the people in Ciwec and the town of Pangboche I can't express my gratitude enough. Some of the nicest and most genuine people I have ever come across. These two photos are among the last few I took of the closest I got to the mountain. "Depressing to be reminded of when your mind says go but your body won't budge. But thats okay, the mountain had its day with me but I will have my day on the mountain. #NepalExpedition2017 To be continued." In a separate Instagram post, Vince's teammate Nella confirmed that the actor did suffer from AMS. A part of her caption reads, "And to our teammate @vincevelasco23 who, even after getting hit by AMS, still managed to think about us and send his personal stash of water purification tabs our way, you inspire us with your selflessness! You are with us every step of the way." Vince has fully recovered from AMS, and is now back in the country. Currently, he's spending his time by the beach after almost a month in Nepal's extremely cold weather. His caption reads: "After weeks of cold weather gotta head back to the beach #travel #travelph #wtnadventures #freespiritsph ???? @kerbsbalagtas @dalerecina"